It was the first trial of its kind in France, and one which could open the floodgates to similar cases. 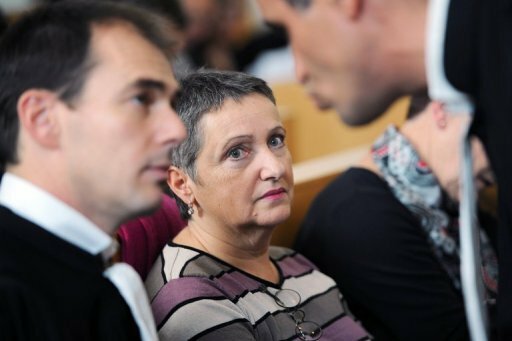 French psychiatrist Danièle Canarelli, 58, was convicted of manslaughter this Tuesday over a murder committed by one of her patients back in 2004. That year, Joël Gaillard, 43, suffering from paranoid schizophrenia, fled a consultation with Doctor Canarelli, who had been treating him for four years. She was unable to retain him, being alone with a nurse, and waited three hours before phoning the police. Three weeks later, Gaillard hacked his grandmother’s partner, 80-year-old Germain Trabuc, to death with an axe in Gap, south-eastern France. Gaillard was tried for the grisly murder of Trabuc, but was found criminally irresponsible due to his mental condition. One of Trabuc’s sons, unsatisfied with this conclusion, then decided to take things further. He sued the hospital - and won - as well as the individuals involved in Gaillard’s care, including Canarelli. The trial was closely followed by the psychiatric profession, which expressed solidarity with Canarelli. On the opening day of her trial, over 100 psychiatric nursing staff protested outside the courthouse in Marseille, holding banners with the words “This trial is my trial” and “Dark day for psychiatry”. The presiding judge was at pains to stress that the profession was not on trial. However, “there can be no impunity”, he said. In other words, the buck has to stop somewhere. During the trial, the prosecution alleged that Doctor Canarelli had been taken in over the years by a “wily” patient, consistently disregarding her colleagues’ recommendations to step up surveillance of Gaillard. Canarelli denied all negligence, saying that her patient did not show the symptoms one would have looked for. Her lawyer asked for her to be acquitted. Instead, the court followed the recommendations of the prosecutor, who had asked for a manslaughter conviction and a one-year suspended sentence. In its decision, the court stressed that “judges know there is no such thing as zero risk”. Nevertheless, a legal precedent has been created. Dr Angelo Poli, vice-president of the Union of Psychiatrists in Public Practice (known by its French acronym Spep), called the verdict “worrying”, saying it could lead to patients being refused to be let out on pass. Speaking to French news agency AFP, he declared that Canarelli was being made a “scapegoat”. 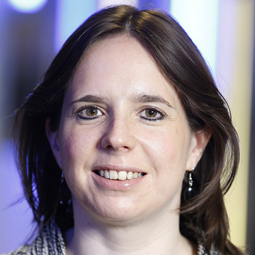 Her lawyer, Sylvain Pontier, expressed similar concern that the court's decision would “probably lead to harsher treatment of [psychiatric] patients, not necessarily in their interest, but with the aim of protecting the doctor”. Doctor Canarelli is expected to appeal.